I’m not sure why but this website is loading very slowly for me. Is anyone else having this problem or is it an issue on my end? I’ll check back later on and see if the problem still exists. Hi, I just tested on my machine and on my phone, there was no any problem with loading the images. It was pretty fast. When i run the suggested command i get the message that the cuda_8.0.44_linux.run cant be fount.Any suggestions? Or is this just a standar message after installation? In fact, “cuda_8.0.44_linux.run cant be found” tells you everything already. 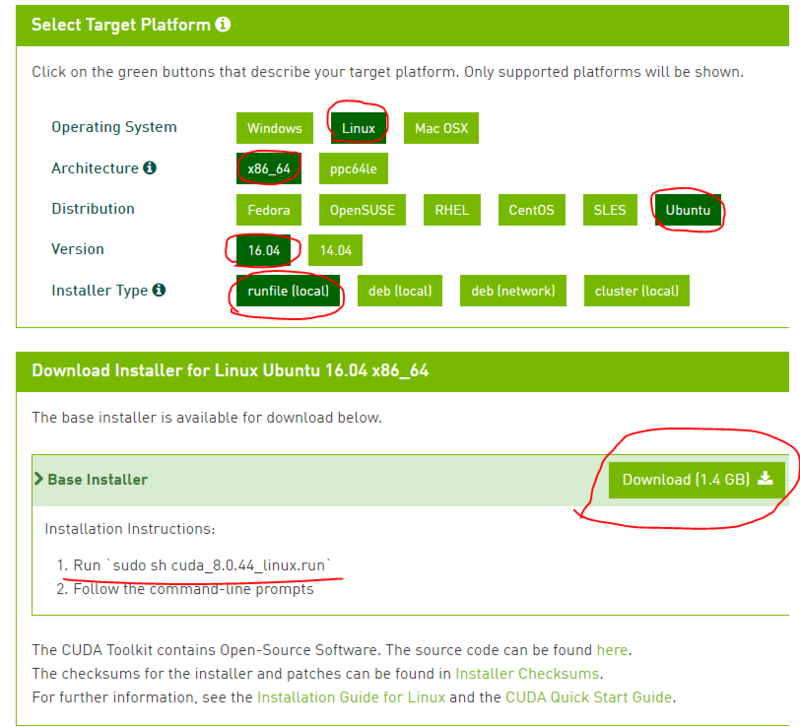 I do not think you will get a “cuda_8.0.44_linux.run” when you download the CUDA toolkit, you probably would get a newer version (I just checked it for you, the current version is “cuda_8.0.61_375.26_linux.run”, and you should download this). so you need to change the command according to the newer version you actually downloaded.